Segway is the current leader in production of personal, “green” methods of transportation. They develop vehicles which change the way you live, play and drive. Ever since the invention of Segway® Personal Transportation, Segway had established itself as the leader in the developing field of electrical vehicles. Our approach to solving problems such as traffic congestion and air pollution is balanced with the strong understanding of our customers’ functional needs, allowing them to do more with less. Today we focus mainly on caring for our customers by developing safe, unique products which redefine personal transportation both for individuals and businesses. Segway cooperates with commercial and urban organizations in order to realize the benefits of personal transportation which doesn’t emit harmful gasses and therefore increase production. Along with our customers we help countries develop systems in which these new technologies are utilized and wisely implemented into the existing society. For our investors and sales agents we offer new business opportunities which lead to exciting possibilities. We continue to focus our research and development on creating “green” personal transportation devices which stand up to conventions. Our commitment to developing small, completely electrically powered vehicles include cooperating with GM Open Flextreme project in 2007, which only goes to prove our competence and success in this field. EN-V project is yet another unconventional approach to today’s problem of congested traffic and air pollution. The result of this cooperation is a fully functional vehicle for two people which utilizes advanced mobility, connectivity and sensors which use the highest cutting-edge technology of today and can be quickly manufactured. Segway is fully committed to innovation and future of transportation – ease of use, intelligence, efficiency and simplicity. One of the fruits of our labor is an electrical vehicle which doesn’t resemble or move as any previously known transports. Out of all of the conventions we left behind in ruins, none have been more thoroughly destroyed than the belief that we have to choose between “more” and “less”. In the year 2001 Dean Kamen announced the first self-balancing personal vehicle with zero gas emission: Segway® Personal Transporter (PT). It originated from the vision of developing a highly efficient vehicle that doesn’t emit harmful gasses and utilizes self-balancing technology. The research we put into our existing efforts and further development was aimed at creating a vehicle that occupies less space, is extremely mobile and maneuverable and can be used in pedestrian areas. In the year 2006 the second generation of Segway PT’s was discovered. 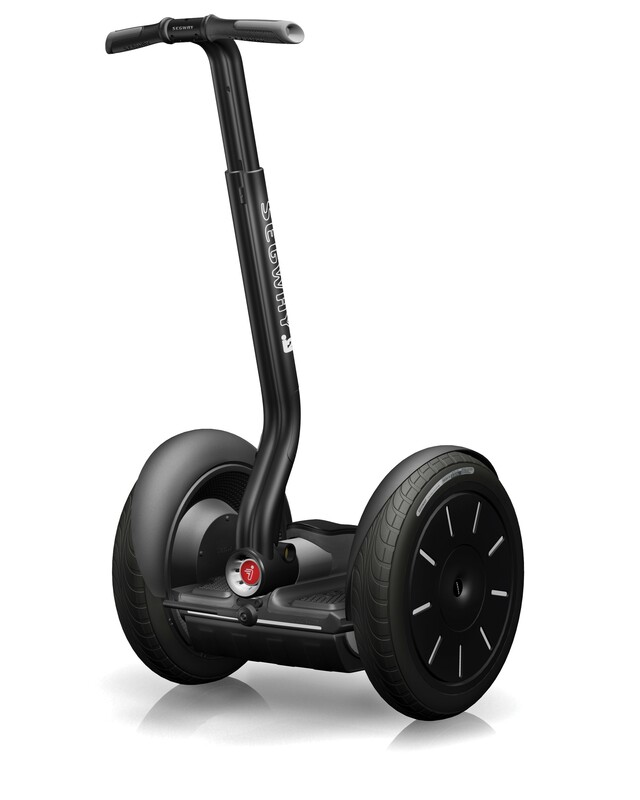 All of them utilizing the cutting edge LeanSteer technology and a wireless InfoKey controller which enhance the Segway experience by making its operation even more intuitive and adding many useful functions. Today, Segway continues to develop safe and unique solutions which are aimed at solving congested traffic and air pollution issues by making use of our years of experience. Regardless of the type of platform, our vehicles will allow you to have more with less. Here at Segway we develop systems, not individual components. This term is used for technology which regulates balance and thanks to which incredible mobility can be achieved (with a turning point of 0 degrees), small imprint and a unique driving experience. In addition to the fact that this manner of power is clean and efficient, electrical propulsion allows for precise adjustments in each wheel for further precision in turning and smooth riding, as well as friction control and braking system which utilizes software. Segway is one of the largest buyers of large-format batteries in the world and was the head developer of Lithium-ion batteries for transporters. We’ve come up with many discoveries that allow for an even longer battery life and energy management. Add to that the self-renewing brake control which charges during slowdown and you have very efficient use of battery power. Sometimes you may feel like Segway PT is reading your mind. That’s not magic, it is a blend of propulsion, energy, inertion sensors and incredibly simple controls which all allow for a ride that makes you smile. We hope that someday you will have the opportunity to see for yourself and enjoy the trip to work instead of dreading it. Mechanical controls are a relic of the past. We use advanced sensor technology to give you safe control through auxiliary systems which allow for control input for acceleration, braking, direction and other functions. Whatever your intuition is telling you is correct. Segway approach to user controls is minimalistic. We aim to encourage the natural link between man and machine. Our cutting edge system of predictive controls allows us to surpass the traditional manners of operation and give you something even better. You can access all information you need through auxiliary devices. The movement speed, battery condition and other information is available through included wireless connection with the portable device that can be mounted on the vehicles. All our products use elements of our digital transportation architecture in order to allow for intuitive, electrical personal transportation experience unlike any other. Segway PT are the next generation of clean personal transporation which offer several more advanced functions in comparison to our first generation of vehicles, making the ride even more efficient than before. Our buyers can choose between the sleek, adaptable model Segway i2 SE, Segway x2 and six different, fully customizable packages which are adapted to specific uses such as commuting to work, going shopping or usage in golf courts. Segway i2 SE is a great way to enjoy your ride to work, to the store or simply to make short trips that aren’t enough to merit using a car. Segway x2 SE brings even more customization due to its sturdy build which makes it suitable for rough terrains such as roads, bicycle tracks or beaches. If you are unsure that Segway PT is for you, you can take our test for Segway compatibility and find a model best suited to your lifestyle. Businesses around the world have discovered the convenience of enhanced mobility and production which is achieved by using the durable and trustworthy Segway i2 SE. Segway i2 SE is developed for speed, distance and maneuverability in different environments. The packages we offer have been customized for specific needs of safety and commercial buyers, but you can also purchase various accessories for full adaptability to your specific needs. If you are unsure that Segway PT is what you business needs, you can take our Segway compatibility test and confirm that Segway can be used for the needs of your business transportation and help you achieve you goals. Police and security agencies all around the world use Segway products to patrol airports, public transportation stations, objects where production is being done, malls and campuses. Consider our adaptable Segway i2 SE Patroller which is adapted specially for the needs of police and has additions for increased weight and better visibility. For businesses and security agencies working in the field, Segway x2 SE offers the maximum performance in harsher terrain. Equipped by standard lithium-ion batteries and low air pressure tires, these resilient models will facilitate traversing harsher terrain. The Segway Robotic Mobile Platform begins with the standard high performance and engineering skill that goes into all our vehicles and then adapts them further into an even more resilient package for robotic applications. Segway RMP are extremely reliable and adaptable mobile platforms which can be used to transport heavy loads in confined spaces and on various types of terrain. Segway constantly utilizes its latest technological developments and abilities to create even more advanced concepts that aim to facilitate the challenges in today’s transportation. Even though many of our newest solutions still exist only as prototypes, they still exhibit the possibilities of technologies that could soon be fully developed and applied. In year 2009 Segway announced the project P.U.M.A prototype as a result of our cooperation with General Motors (GM) and has recently revealed the EN-V project, along with GM-SAIC. Both concepts combine the existing technology of dynamic stabilization and electric engine with connectivity and sensory capabilities in the struggle against congested traffic and pollution.